A majority of Samuel Adams beer is made at breweries from Ohio to Pennsylvania, but for the Boston Beer Company Boston is home. 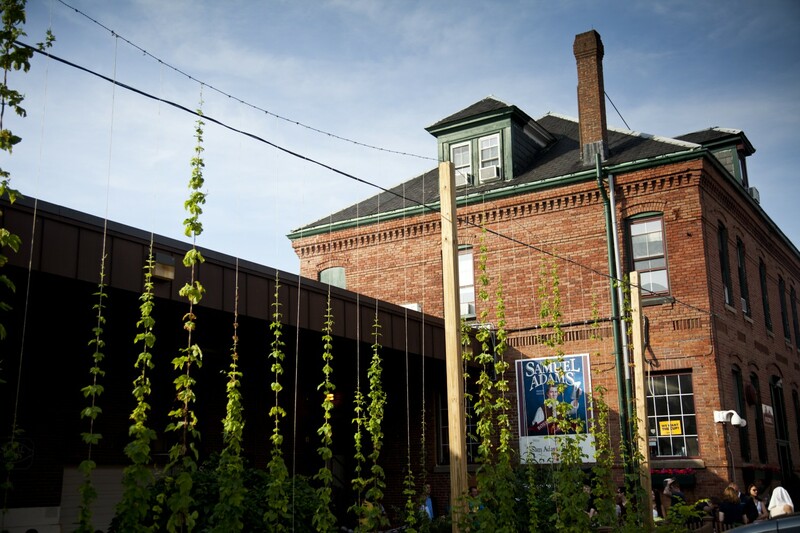 More than thirty years ago, the brewery rented space in the historic Haffenreffer Brewery—a renovated brick complex dating back to 1871, in the city’s Jamaica Plain neighborhood—and began giving tours to tourists and beer lovers alike. They always wanted a tap -room near the brewery now they have one. Boston Beer founder Jim Koch spearheaded a revolution in the Beer industry during the 1980’s. Better known for his craft brand Samuel Adams which is the largest craft beer in the world. They have ignored the lure of the AB in Bev and Coors calls for merger and have instead forged their own path. But can Sam Adams still be called a small craft brewery? They rival some of the better-known brands and have the muscle and money to get on taps and the shelves where smaller real craft beers cannot. 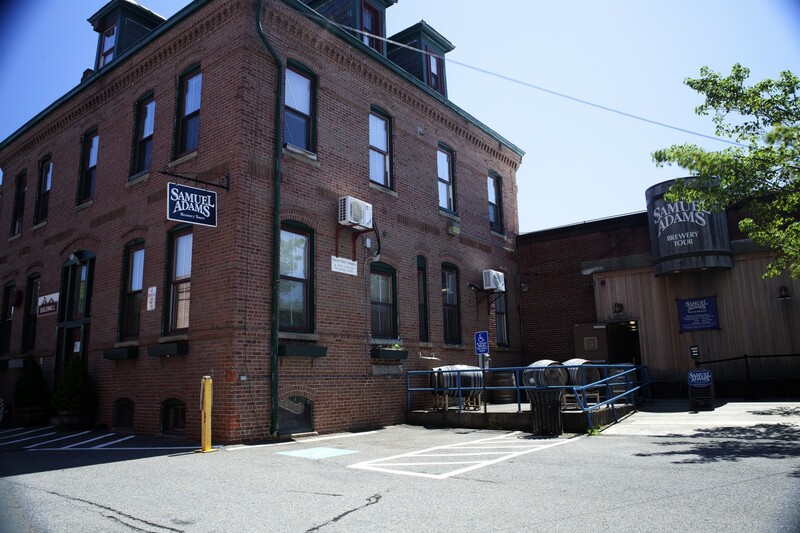 One place that Samuel Adams still presents the feeling of an old time Brewery is their brewery tours. Almost all breweries hold tours. This is an easy way for them make some easy cash typically $25.00 for a tour of the inner workings an actual brewery. Sam Adams is no different. There is a lot of history at Boston Beer and it is on display from the very first time you walk through the doors. The front foyer is resplendent with Beer and Sam Adams ephemera. Among the interesting artifacts to the story’s brands history are awards, the centuries old OG recipe from Toms’ grandfather that started him on brewing. Once you leave the foyer you are greeted by your guide. Look up and you will notice you are walking through a cut in half fermenter. A nice bit of detail to kick of the tour. When we went on the tour Katy was out Guide a bubbly and whip smaaatt an undergrad studies micro biology student. This was her part time job and she loved it. You could tell from her enthusiasm and knowledge that she loved Beer and Sam Adams. Apart of the tour is the history of Sam Adams it could have been more in depth but then again, I watch Beer documentaries so take that with a grain of hops. The process and history of the Beer making process are now distilled to an eager and willing crowd. The going joke is to get through this as quick as possible so everyone can get to what we came her for on a rainy Boston morning at 11am. Drink beer modestly and eagerly with an excuse that this is all done in the name of education. Once Katie believes we have all been thoroughly educated in the history and the art of brewing she shows us how to drink beer. Kidding there’s no right way to drink beer. Katie brings pitchers of out Sam Adam summer and Sam 76. Sam 76 is the Best of both worlds an ale and a lager combined. Many pitchers are passed, and Katie continues to tell us about Sam Adams. Once we are finished with the pitchers Katie tells us to wait in the gift shop. She greets us after a few purchases of swag and summons Jane and I to the Barrel Room. This is where I can ask questions but not print any of the answers. Suffice to say Boston Beer has secrets yes Beer secrets! Katie brought us a sample pitcher of a Hefeweizen. A German wheat beer. The problem with a Heffe is most people find them too strong. Sam Adams if they release it have solved that problem. This was a smooth and approachable beer very tasty and with no lemon! Our time with Katie and the Barrel room wasn’t an end but our day was not. Sam Adams has a wonderful tap room. This is where all the experiments from the barrel room may end up. This is a wonderful and historic tour not to be missed.